I’m finally back in New York and the first thing on my mind when I stepped off the plane was food. 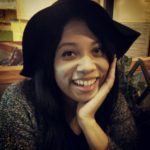 There are a plethora of amazing restaurants and shops in Manhattan and it is my goal to write about them all. On Saturday, I took a little solo trip to the West Village and stumbled upon an interesting ice cream shop. Van Leeuwen Artisan Ice Cream, made fresh in Greenpoint, Brooklyn, uses all natural ingredients. I really liked that they are so transparent with revealing exactly what they put in their ice cream. The Classic ice cream is made of fresh milk and cream, cane sugar, and egg yolks. Unfortunately, I didn’t get the chance to try their Vegan ice cream, which is made of cashew milk, organic coconut milk, organic extra virgin coconut oil, cane sugar, cocoa butter, and carob bean. 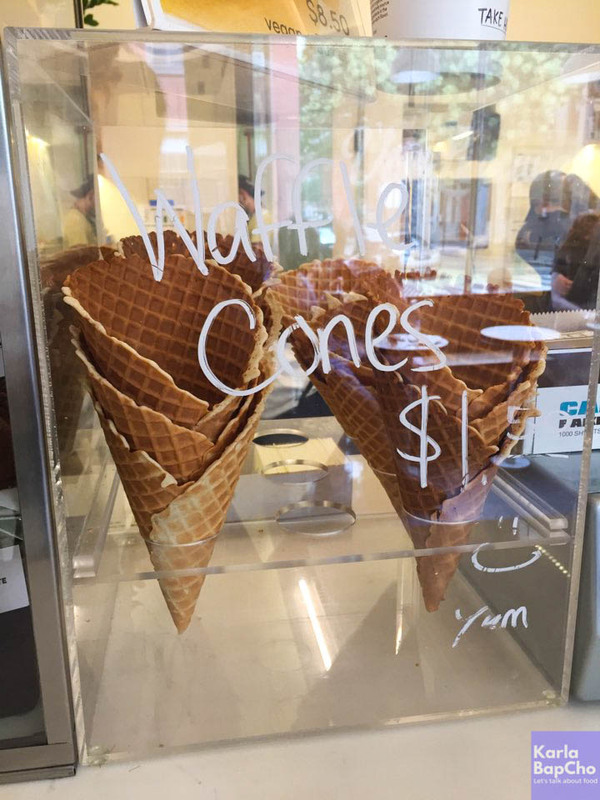 I was feeling a bit confident in my eating abilities, so I went for two scoops in a cup (next time I have to try the fresh waffle cones). Of course I had to try the vanilla bean. My second choice was honeycomb. I was pleasantly surprised when I saw the size of the scoops. The cup was huge and I wondered if the confidence I had in my eating abilities was premature. I reassured myself as a seat at one of the tiny tables became vacant just as I finished paying. The timing was perfect. I was meant to eat all of this ice cream! My all time favorite flavor is vanilla bean. Van Leeuwen definitely does it right. 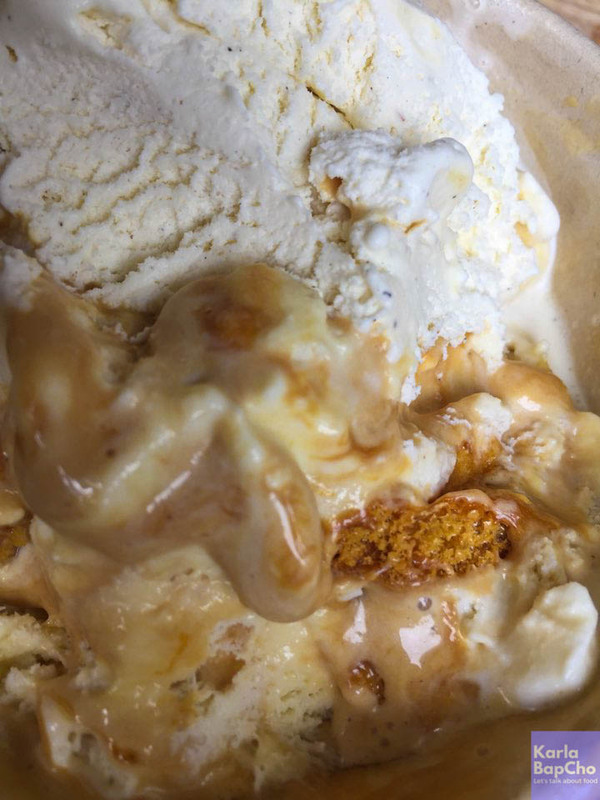 It was some of the creamiest ice cream I’ve had in New York. The honeycomb flavor surprisingly doesn’t contain any honey. Honeycomb is actually a type of caramel candy that, when mixed with ice cream, is chewy on the outside, and crunchy on the inside. Van Leeuwen mixes the candy with a sweet cream to create a bittersweet, salty taste. In my opinion, the best part was chomping down on the crunchy “honeycomb”. 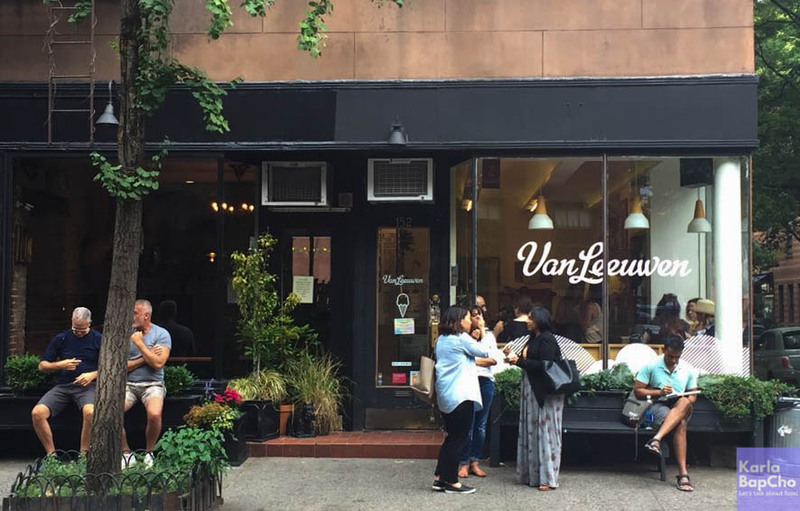 Van Leeuwen has shops all around New York City and Los Angeles. The West Village shop is just a ten minute walk from the NYU campus and is open from Sunday to Thursday between the hours of 9:00am and 12:00am. On Fridays and Saturdays, they are open until 1:00am. You can also find their 14 ounce cups in select supermarkets. 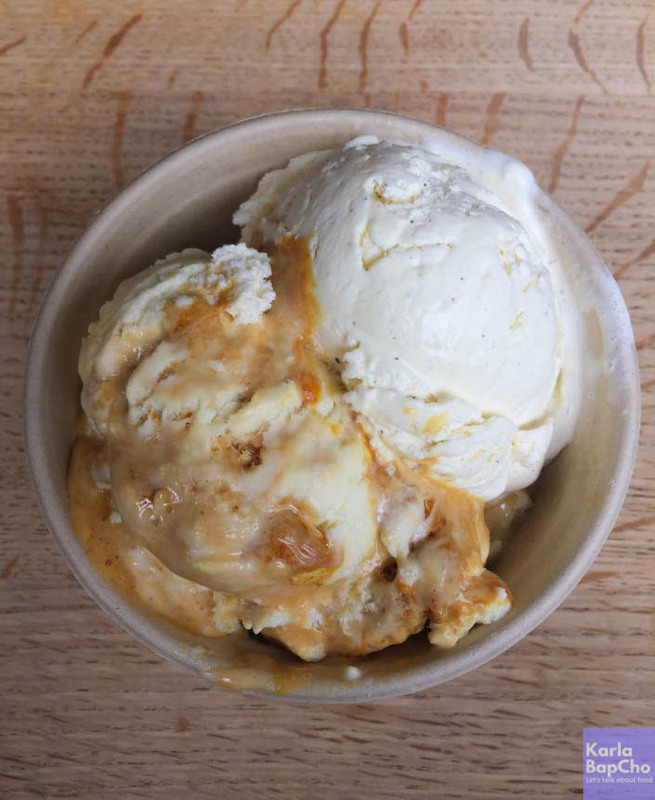 I will definitely be going back to Van Leeuwen Artisan Ice Cream to try their other flavors as well as their housemade sundaes.